The bedroom is our personal temple or a space that we share with the person that we love. We also spend a good part of our daily life in this room so we need to take time and put care into its design so that it is always warm and comfortable as well as aesthetically appealing. You can achieve this by choosing new furniture and accessories for the room, including a new bed, table and cabinets. Or you can find new ways of decorating the walls, refreshing the look and feel of this space. This homify ideabook contains 14 modern and convenient ideas for decorating the walls in your bedroom, inspiring you to breathe new life into your personal little space. The presence of photographs is quite common in areas like the living room, but what would happen if we were to introduce them into the bedroom and use them to decorate the walls in this space? The intimacy of the environment lends itself to the introduction of personal memories that are very dear, enriching the room and adding an emotional note. This can be further enhanced by the use of prints in black and white, which add a vintage flavour. 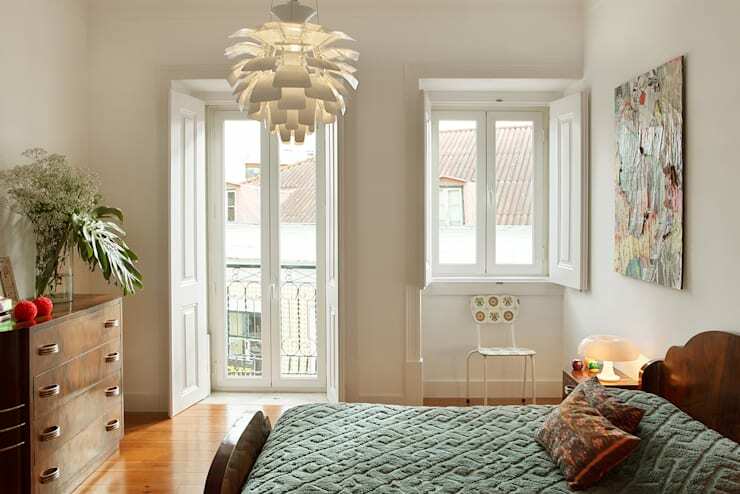 This environment is often dominated by white and soft colours, which enhance the natural light. 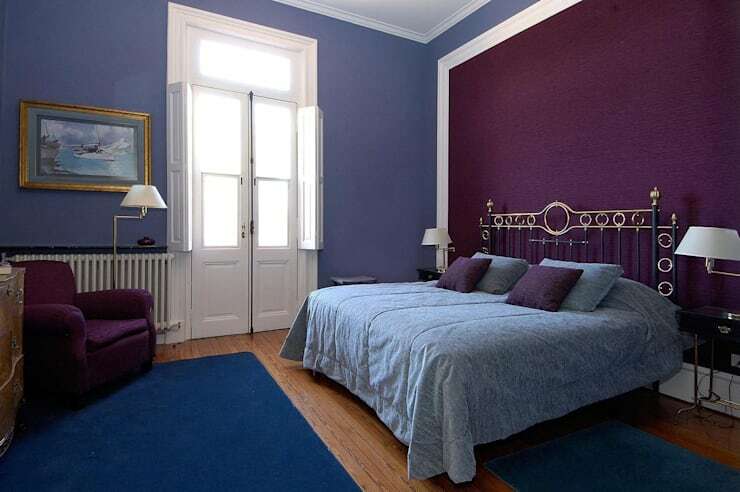 But why not use your walls to combine colours, introducing some warmer and stronger colours? 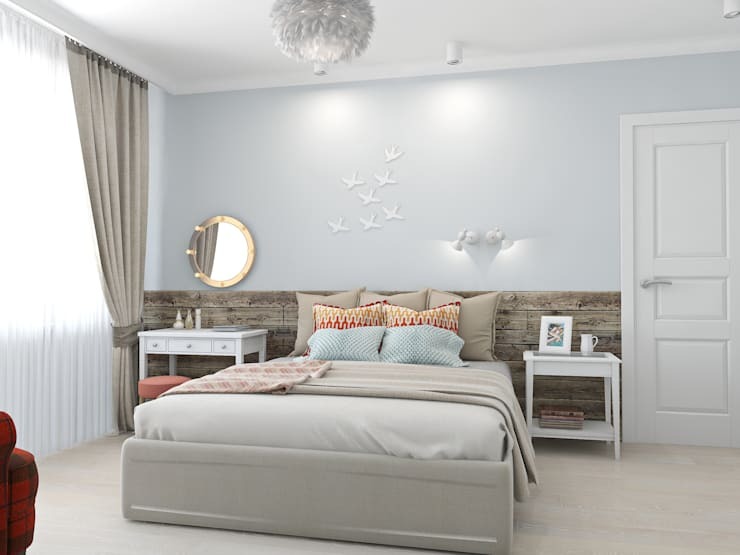 While you don't want all of the walls to feature dark tones, we can see in this design how a combination of colours can make for a very appealing bedroom environment. If you are looking for a practical and economic solution, wallpaper could be the perfect choice. There are an infinite number of designs and colours to experiment with and you can choose the one that best suits your personality. Don't you love this wallpaper by professionals Raker Mimarlik? This is not an unusual design in modern times. 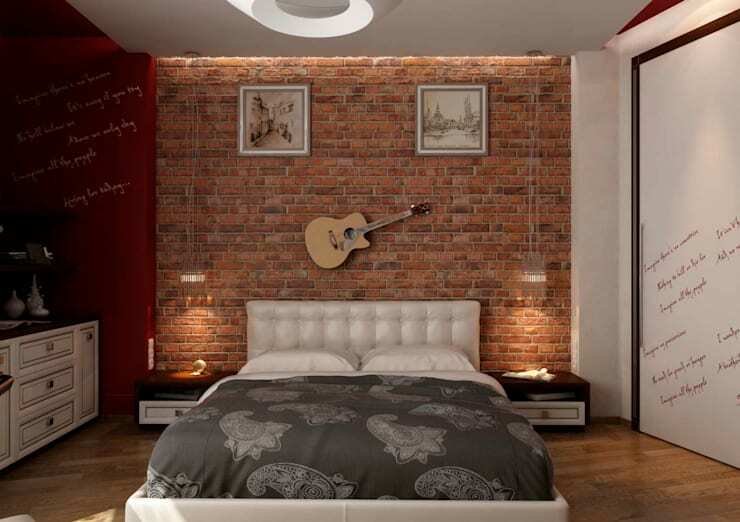 In fact a raw brick wall can be a very bold, refreshing and original option for an industrial chic look in the bedroom space. In this design, we can see how the orange bricks complement the smoother plastered walls, bringing texture and tone to the room. This is a very modern and appealing space. The important thing to remember is that you want simple furniture and decor with this type of wall so that you don't overwhelm the environment. 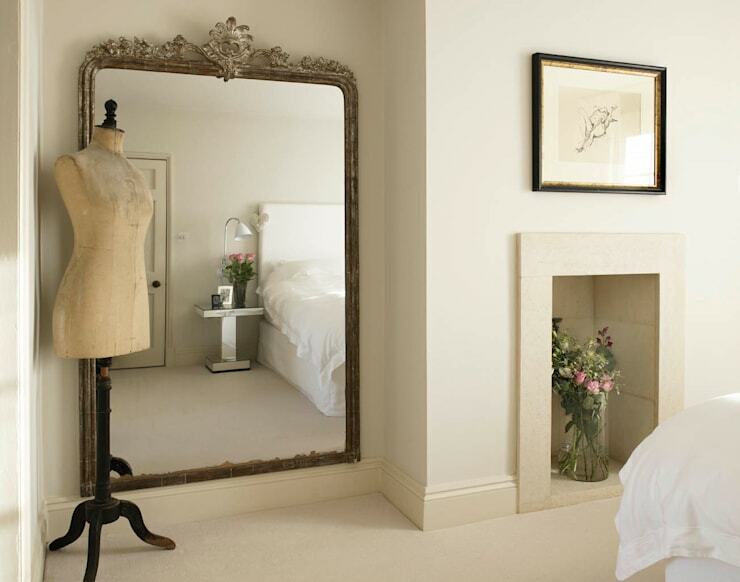 One idea to effectively make a small bedroom appear larger, apart from painting the walls a light colour, is to add mirrors to the wall space. As we can see in this design, a larger mirror not only creates a beautiful setting but it gives the perception that there is much more space. Choose a theme for your bedroom and decorate the walls accordingly, whether you want to go for music, animals or books as the focal point. Choose a gorgeous and bold painting that appeals to this design and you'll have the most sophisticated bedroom on the block! 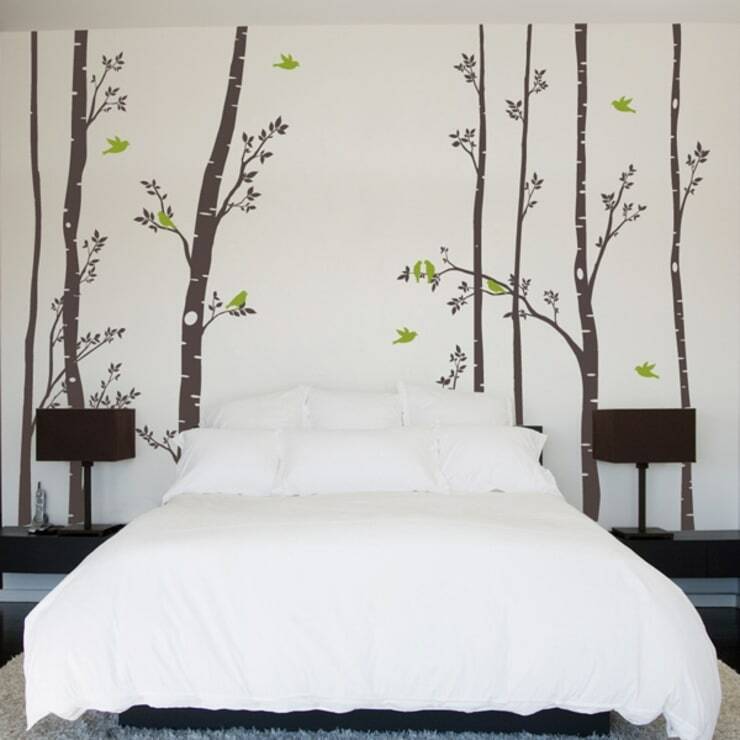 Stencils or wall art are some of the most practical and economical ways to decorate the walls in a very short space of time. Within minutes, you can have a wonderful little haven with walls that exude character and charm. Pastel colours are well suited for any environment, but for the bedroom, they truly introduce feelings of tranquility and rest. These types of colours and tones bring you peace of mind and allow you to feel at one with the environment around you. If you are a lover of artwork, sculptures or painting, don't just use them for the more common areas of your home like the dining room and living room. 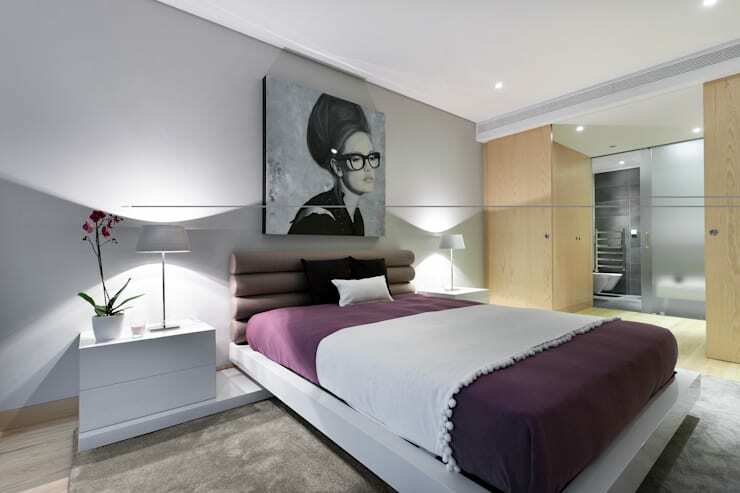 Even in the privacy of the bedroom, a piece of artwork can add a precious touch, enriching this space and ensuring that it is intimate and personal. Either as an artificial coating or as natural, exposed stone, this is a great option for those who love a more rustic look and feel as well as authentic elements that give them direct contact with nature. 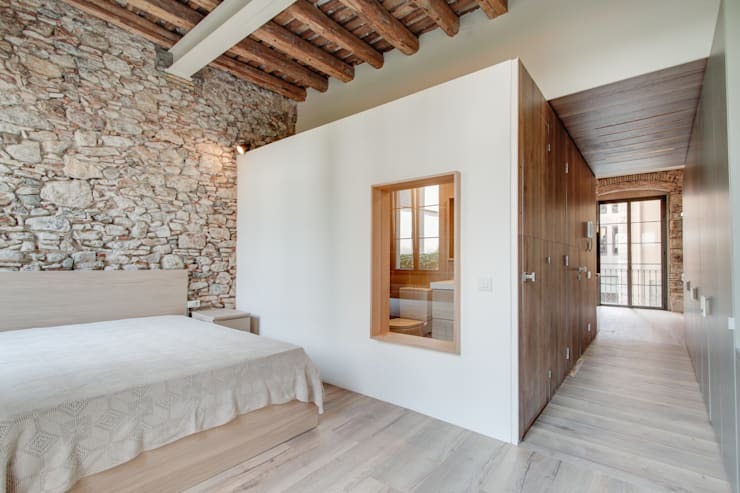 The presence of an exposed stone wall will be even more effective it is linked to other rustic elements such as wooden ceiling beams, as we can see in this image. Concrete walls are often found in a minimalist or industrial environment, bringing an elegant and simple design into the space all at the same time. 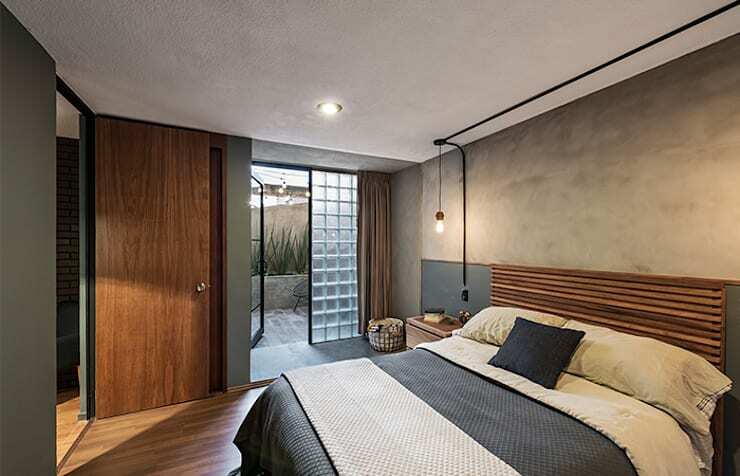 Even in the context of a bedroom, as we can see in this image, the concrete walls work beautifully. They don't simply have to be used for a bathroom or kitchen. The presence of smooth concrete can harmonise an environment, introducing personality to the space. 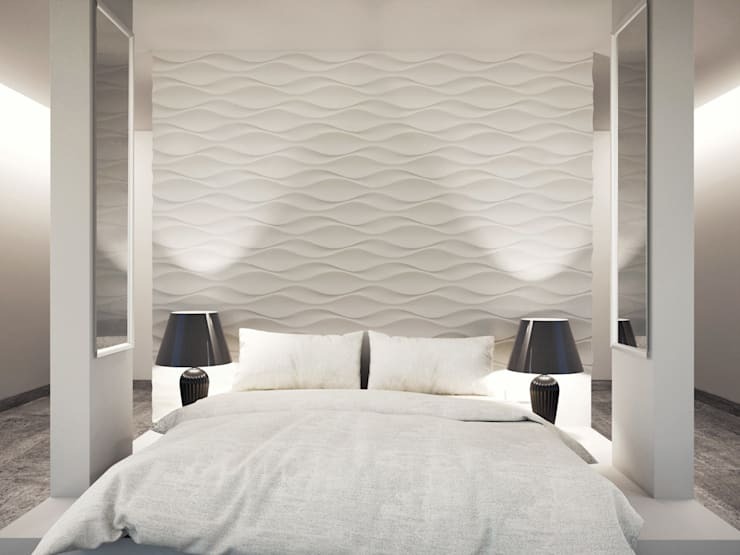 Lighting can play a vital role in illuminating the detail and characteristics of the walls. In this case, for example, we can see how the wall above the bed is enhanced by the beautiful soft lighting from the bedside lamps. You can also opt for candles or lanterns. You can also use stencils or wall art to introduce contrasting colours to the walls, as we can see in this design. The liveliness of the bright colours is dramatised by the beautiful white wall art. 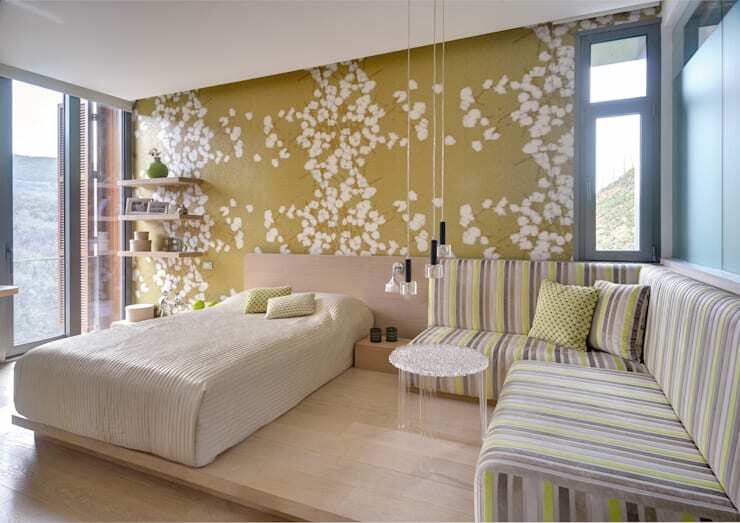 Vertical gardens can introduce a wonderful decorative element, enhancing the walls of the house—even in the bedroom! 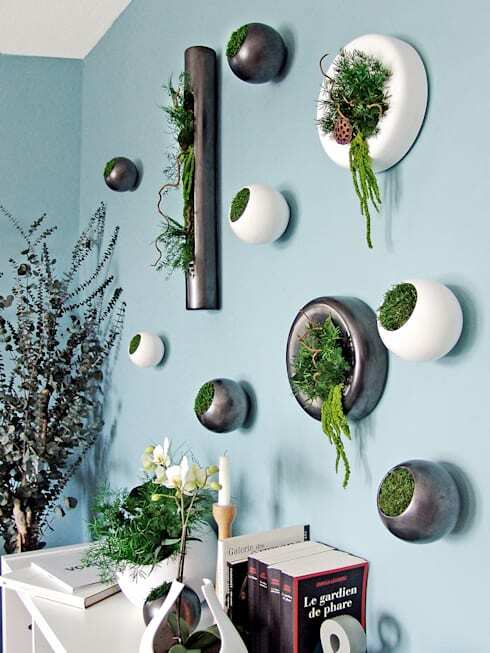 In this design, we can see how the small vertical gardens brings a very refreshing and natural form of decor to the room, which is both original and stunning. Choose plants that are well-suited to the indoor environment and have a look at these: Tips for how to create and plant a vertical garden. 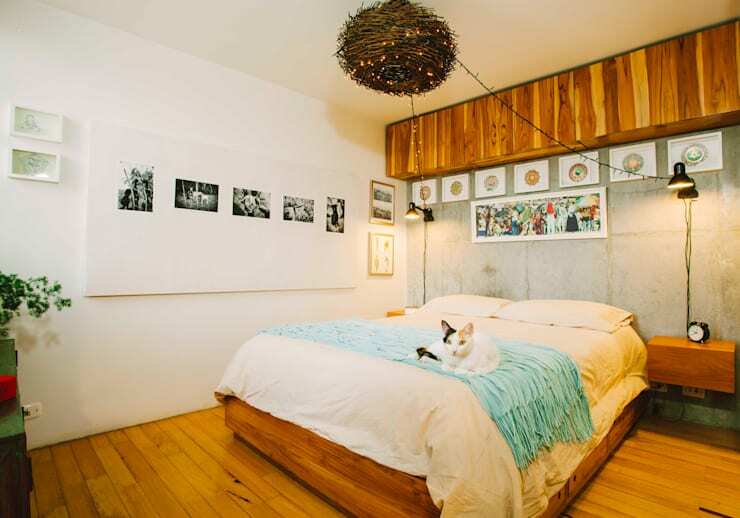 Are you inspired to change your bedroom walls?